This author has personally visited dozens of famous grave sites around the world. The black and white photos illustrated are of the grave site of notable persons pictured with the author to provide authenticity. A facsimile of a genuine signature of the celebrity is also illustrated. Some of the signatures are extremely rare and make an excellent reference for collectors and dealers in autographs. Each celebrity listed has a full page biography which makes excellent and interesting reading. Celebrities in all fields from Hollywood to historical figures, gangsters, politicians, musicians royalty, inventors, writers, sports and more are covered in this book. Fascinating reading and a must for an autograph collector's library. Signed or inscribed copies are available upon request. 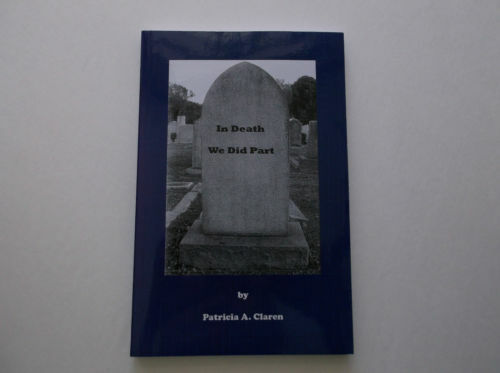 The author, Patricia A. Claren, has been a registered nurse since 1980 and has worked in the Emergency Department for the last thirty years. She developed an interest in death investigation while working in the Emergency Department of Mountainside Hospital in Montclair, New Jersey. Along with her mentor, Virginia Lynch, the first president of the International Associatioon of Forensic Nurses, Pat was a pioneer in the field of Forensic Nursing. Ms. Claren became the first Nurse Investigator for the county of Essex and the State of New Jersey. After moving to Miami, Florida she became a Certified Forensic Nurse and had the opportunity to work with the legendary Chief Medical Examiner Dr. Joseph H. Davis at the Miami-Dade County Medical Examiners Department. Ms. Claren is very interested in autograph collecting, she became a dealer in 1985 and issued her first catalog shortly thereafter. Retirement from the hospital setting has given her favorable time to travel extensively throughout the United States and the world with a focus on visiting well known cities and celebrity graves. Ms. Claren is also co-author of Ronald Reagan and Nelle Reagan, Autograph Mystery Uncovered, 2008.